[vc_row][vc_column][rd_images_carousel images=”17794,17795,17796,17802,17798,17799,17800,17801″ size=”full”][/vc_column][/vc_row][vc_row][vc_column][vc_column_text]They’re inside your towns… Inside your schools… Inside you minds…And now they’re coming to a local comic shop near you! 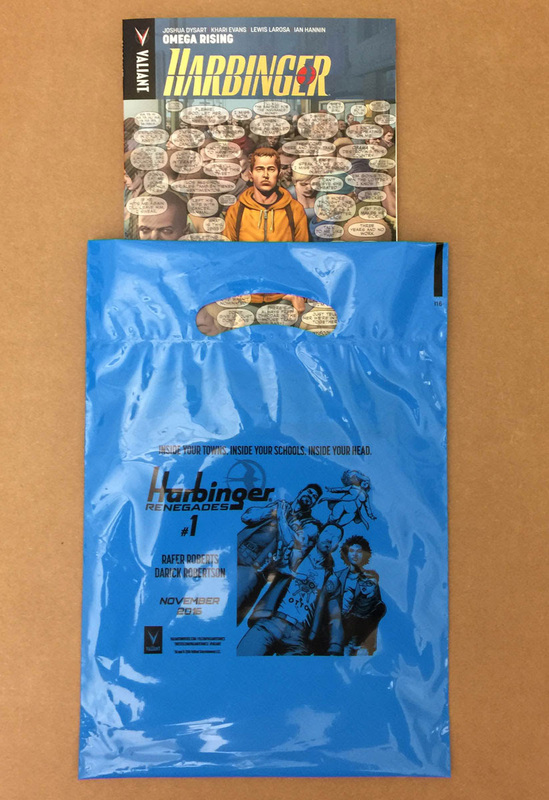 Valiant is proud to unveil a staggering amount of free promotional items coming to comic shops everywhere for HARBINGER RENEGADE #1, the FIRST ISSUE of the ALL-NEW ONGOING SERIESthat will begin the march toward the biggest Valiant event of all time: HARBINGER WARS 2! 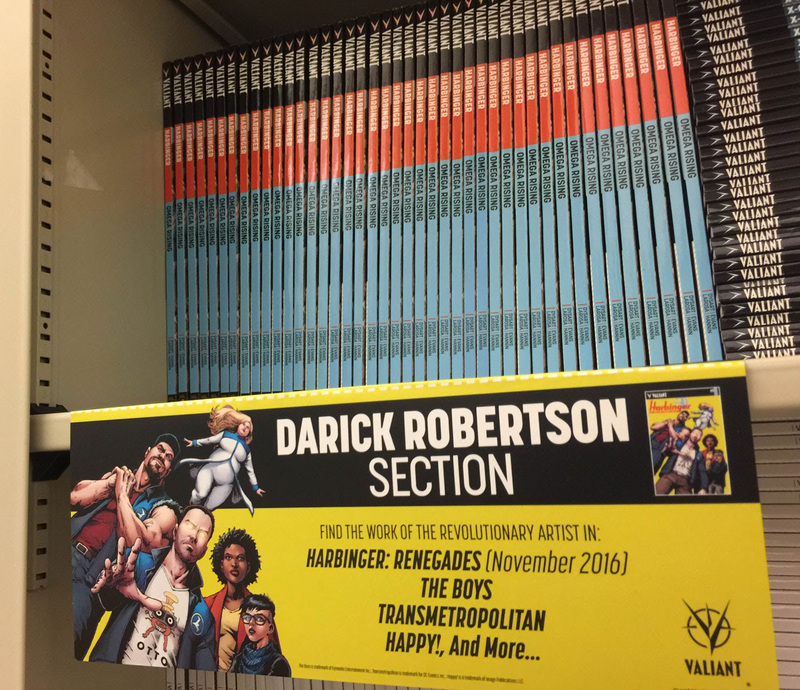 Join multiple Harvey Award-nominated writer Rafer Roberts (Plastic Farm) and superstar artists Darick Robertson (Transmetropolitan, The Boys) – plus special guest contributors Juan Jose Ryp(BRITANNIA) and Raul Allen (WRATH OF THE ETERNAL WARRIOR) – as they lay the groundwork for the essential Valiant debut of 2016 with a 40-page blockbuster! 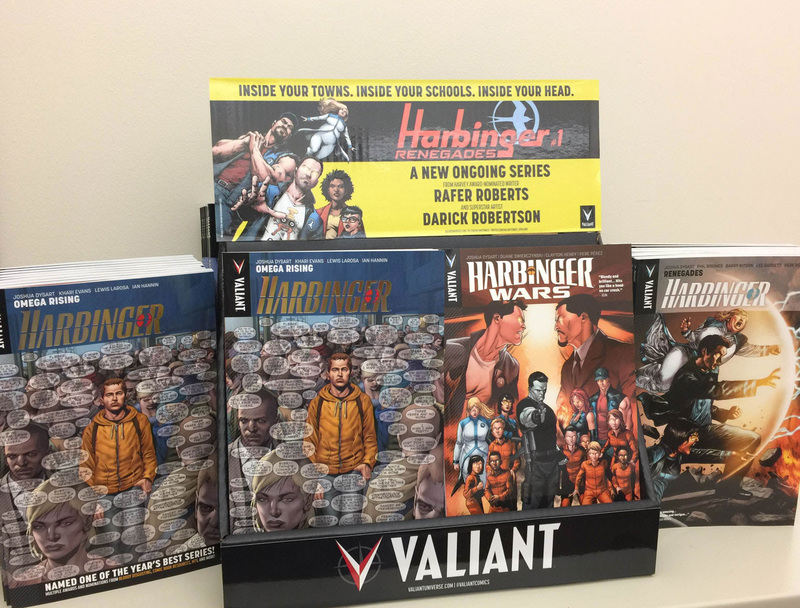 Plus: Beginning with HARBINGER RENEGADE #1, Valiant is offering fans the chance for an advance insight into the conflagration that’s coming with HARBINGER WARS 2 #0 – an exclusive, limited-edition Valiant zero issue that can only be obtained by redeeming mail-away coupons included in HARBINGER RENEGADE #1-4! 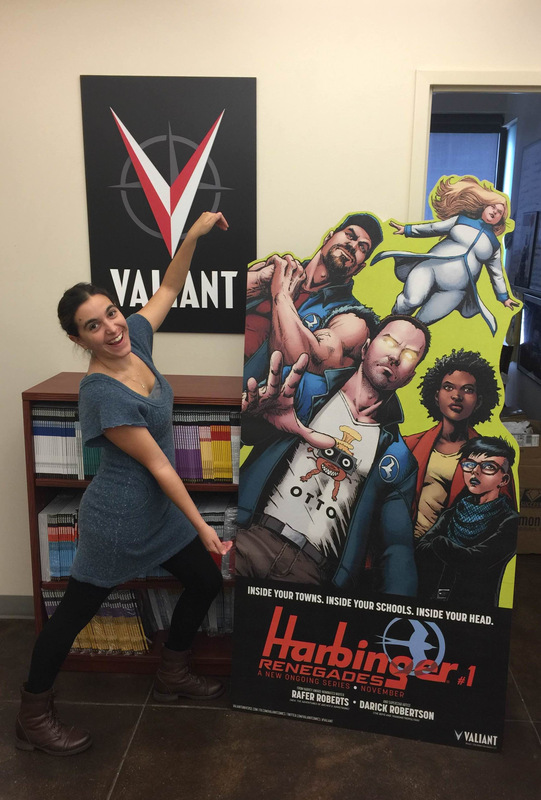 Featuring a can’t-miss prelude to the landmark comic event of 2018 that cannot be obtained anywhere else, readers simply have to clip and ship their detachable coupons to receive this one-of-a-kind, advance chapter torn from the future of the Valiant Universe! 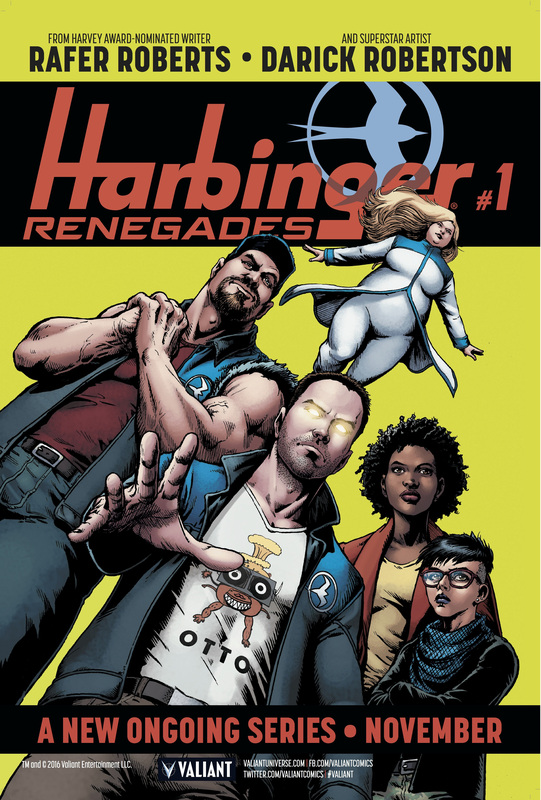 Look for full participation guidelines for redeeming your copy of HARBINGER WARS 2 #0 in the pages of HARBINGER RENEGADE #1, on sale November 16th in comic shops everywhere.Anyone you know could become a psionically powered “harbinger” with the potential to reshape the course of human history. Your neighbor. Your boss. Your best friend. Your kids. Dollface #1 Sells Out! Second Printing Coming!